Joel's Jottings: Copyright or Copying Rights? 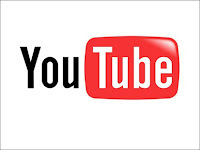 Did you know that over 6 hours of video is being uploaded onto YouTube, every minute?? That is why I wasn't surprised when I read that this enormous uploading of videos - throwing copyright law to winds - has now resulted in an interesting development - Video Identification Tool. The content owners can now use a video identification tool that will act like the video fingerprint embedded into the video. If anyone else uploads a similar video, the tool identifies a match. If a match is found, the copyright holders' policy preferences are applied to that video (Rights owners, apparently, can choose to block, track or monetize their content). How cool can you get??? eh? Now that Google owns You Tube things would be good I think. Some would remember that last March, Viacom, owner of Hollywood studios Paramount and DreamWorks, launched a $1bn lawsuit against YouTube for copyright infringement. Oh btw, among those who contributed to this development are Time Warner and Disney!